Earlier this week, there was a woman who unsubscribed from my Facebook group because she said members were posting too much information “with zero science to back anything up.” It’s a complaint I’ve heard before, and I do understand her concern. In a perfect world, we would have a smorgasbord of research-backed treatments for fibromyalgia, chronic fatigue and chronic Lyme, some of them would actually work and we’d all get better. 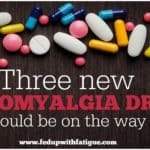 The reality is we have three drugs approved by the U.S. Food and Drug Administration for fibromyalgia – Lyrica, Cymbalta and Savella. None of them work very well, and all of them sometimes cause nasty side effects in certain patients. The best performer of the three, Cymbalta, only reduces pain by 50 percent in about 35 percent of patients, based on clinical trial data. It’s rare that a patient gets 100 percent relief. Then, there is the lifestyle-based research, most of which has focused on exercise for fibromyalgia. Studies indicate exercise actually outperforms all of the FDA-approved fibro drugs mentioned above, but the problem is few of us – myself included – are able to exercise because it usually causes more pain and fatigue. So, as far as research-proven treatments go, fibromyalgia patients are left largely with drugs that usually don’t work and physical activity that we’re not capable of performing. Those with chronic fatigue and chronic Lyme have even fewer options. Yes, it would be nice if we had lots of scientifically-proven treatments, but the truth is fibromyalgia, ME/CFS and chronic Lyme research is all in its infancy. We don’t even understand what causes fibromyalgia or ME/CFS, much less how to properly treat it, and as I said previously, chronic Lyme isn’t even acknowledged. There may be lots of treatments such as certain lifestyle changes or supplements that would be beneficial for us, but we may never know about them because they’re not financially lucrative. So, what does that mean for us as patients? It means sometimes we end up becoming our own guinea pigs. 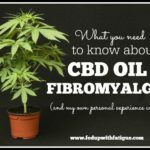 When I was first diagnosed with fibromyalgia, I spent a lot of time online reading the research and looking for solutions. It took about a year before I realized the conventional medical system was not going to be able to help me and that I would have to find answers on my own. And that’s what I’ve done by running my own one-person research trials on various treatments. If I wait for the research to confirm whether a certain treatment works or not, I will never get better. So, it falls to me to seek out solutions, and sometimes – most of the time, in fact – that means trying treatments that aren’t supported by large, big pharma-funded clinical research trials. Low-dose naltrexone (LDN) is one of my discoveries. It’s only been tested for fibromyalgia in two small Stanford University trials, but statistically it outperforms all of the FDA-approved drugs mentioned above. Most doctors have never heard of it, but it’s slowly developing a cult following within the fibro and ME/CFS communities. Anecdotally, it’s also been shown helpful for chronic Lyme because of its immune-modulating properties. I’ve been taking LDN off and on for more than two years now, and it’s the only prescription drug that’s ever lessened my pain. If I had waited for my doctors to discover LDN, I’d probably be bedbound by now from chronic pain, but I’m not because I took an active role in my healthcare. Another go-to treatment of mine is the Quell pain relief device. It’s backed by a trial of chronic pain sufferers, but there hasn’t been a trial specific to fibromyalgia. This is another situation where had I waited for the data, I probably never would have tried the Quell. 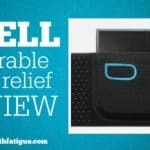 But without a doubt, my Quell device is the best thing I’ve ever used for chronic pain. I wear it every single day, and it consistently knocks my pain level down by a couple of points. I’m also a fan of CBD oil. Again, there have been no fibromyalgia-specific studies, but I’ve found it useful for relieving pain, and so have many others in our community. I give these examples to illustrate my overall point: If you’re relying exclusively on treatments backed by science, then you are probably missing out on some tools that could be helpful in managing your symptoms. Maybe it’s time to be a little more open-minded, and consider that science doesn’t currently have all the answers and probably never will. I’d love to hear if you agree or disagree with me! Please share in comments below! I have been diagnosed in the past year with fibromyalgia, which from all my symptoms I don’t doubt. HOWEVER, all of it started after I had severe neck pain and found I have moderate cervical stenosis along with degenerative disc disease in my spine. I’ve been treated with a slew of medicines, most recently Cymbalta, and found I always have an adverse reaction to these meds. I am currently weaning off Cymbalta, which seemed to work for over a month but I suddenly started having terrible breakthrough pain, high anxiety and even panic attacks. I was afraid I was going into serotonin syndrome. So now I am paying hell to get off this god awful medication. My basic question is how many people with fibro also have degenerative disc disease and more important, cervical stenosis in their neck? I’ve found a lot of articles on the web that tie the two together and in my case I firmly believe its my spine causing the problems. From my own personal observations over the years, there are A LOT of people w/ fibromyalgia and DDD. I don’t hear as much about fibro with stenosis. I like to go to the library and get a variety of opinions and viewpoints whenever I am faced with something complex and potentially devastating, such as this disease. I lost a career, a husband and a home in just a few short years, due in no small part to this disease. I believe FM and CFS are one and the same entities because I have been diagnosed with both, many years ago, and I have been fortunate enough to treat both successfully. I was diagnosed with FM/CFS in the mid 90’s and the prescriptions I was put on initially made me feel loopy and “out of it.” I found some supplements that helped after getting off some of the powerful drugs and antidepressants, and used muscle relaxers at bed time. I learned to think for myself because after seeing many doctors, I was told many different things, often times conflicting things. If I did not do my own problem solving I would be disabled now at age almost 62. Instead, I lead a very full life even with FM/CFS and another problem with absorption of vitamin B12. Drug companies would like us to believe a pill will solve everything, and wouldn’t it be nice if that were the case. Alas, this is not the case. FM/CFS is a very complex illness with a multitude of symptoms. I believe I inherited this illness from my Dad. He called his symptoms rheumatism, however. CFS has been re-named systemic exertion intolerance disease. We feel worse a day or two after exertion as a general rule. This is a hard fact of life for those of us with this diagnosis. So when we find something that helps, we place a great deal of value there. Healthy skepticism is wise, trial and error is necessary, and experience is a grand teacher. Marcia Angell, MD writes brilliantly in her book The Truth About the Drug Companies to illuminate why there are very very few truly new drugs, most are copies of previous drugs with minor alterations so they can be marketed under a new name and new patent, extending profitability – the “me too” drugs. Marketing masquerades as education and research. Ben Goldacre has a book called “How Drug Companies Mislead Doctors and Harm Patients.” By design, drug trials are distorted and the benefits exaggerated. Drugs are a $600 billion global industry. Look no further than where the buck stops for the reasons. I think you have the right idea. Drug companies such as the one that makes LDN. Not only do they post scientific evidence they actually pay off doctors, universities, pay for the studies(pay for thier homes)it is very sick and wrong when you do a little digging what you find. I am glad that the medication works for you but it’s just another cover for drug companies to make $. They are the ones who came up with new diagnosis criteria for fms in 2010. It won’t fix what is wrong and good doctors out there know what to treat, test for and fix fms. The idea that there is no cure is brainwashed down the line. It’s a multifaceted disease and it doesn’t fit criteria for being called syndrome anyway either. The point is a bit of research leads me to believe the LDN trust you are backing is funded by the maker of the drug. They all do it too. Find out why and what’s wrong with your body each and every system and fix it. That’s the cure. But the drug companies won’t make money. I see a few of the awards you won and seen a connection to that. I bet you have been pushed along by this drug company due to #1 it working #thier hold over anyone on Internet. I’ve been unsuccessful with any doctors and self help, alternative therapies and have suffered for 27+ years. The older I get it seems it’s worse. Can u give me any ideas in how to find a “good doctor” that could identify and treat FMS. I’m in South Ga. Any suggestions would be appreciated. still, do not know if I have other types as some can have a ‘crossover’ multiple types…Do not hold one’s breath on a diagnosis of CFS Fibro so called ME they are just labels put out by the Medical profession…I have also seen (HFI) as well in EDS types another Genetic Born condition…Fibro? your connective tissue does not work it is GENETICmultiple copies of tryptase Gene now found by NIAID/NIH. You’re wrong about Lyme and mold. I have Lyme and various co-infections. I have had live blood testing and I have seen the Lyme spirochetes for myself swimming around in my blood in real time. So with all respect to you, I don’t try to tell you which diseases you have and you shouldn’t do that to others. There’s enough discrimination in this community as it is without patients telling other patients what they do and don’t have. Aidan you are wrong about a lot of things here. Fibro sufferers are genetically different in multiple areas. HFI and EDS types etc are all genetic based variants from norm that can cause similar symptoms. You are missing all the other latest studies discovering extra physical nerve proliferation, substance P levels and the list goes on. There is much misdiagnosis it is true and a number of conditions that exhibit similar symptoms. 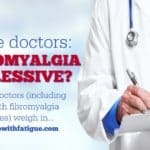 Rest assured however connective tissue issues are but one small part of genuine severe Fibromyalgia, and not even close to the worst. If you actually had severe Fibromyalgia you would know that. Thank you for all your info! Because of sharing your experience, and other readers adding their experiences, I did my own research and gently nudged my new gp (SO GLAD I finally switched our family away from our other scolding, dismissive gp just this year!!) to look into LDN therapy for fibromyalgia. I gave her a little bit of carefully chosen info (which I could tell later she ignored and just did her own research). When I returned for follow-up visit, she did say right away that she is not comfortable with it as it’s “not even off-label” recommended (in Canada, at least) and none of her professors (she’s a very new young gp) or colleagues know about it. But I pushed my ideas/feeling about it, as opposed to pharma drugs she wished I’d try like Gabapentin, and I gave her the name of the closest compounding pharmacy that I’d checked with. She’s going to now speak to the pharmacist there and phone me when she’s finished placing my prescription there! Not a completely pleasant visit with gp, but Phew! Much better than I’ve heard it’s been for many others. I’ll be sure to update when I start the LDN. Keep up the great sharing! Congrats! I hope it helps! Keep me updated! I soooo agree with all that you wrote in this article. I have had fibro for close to 40 years. It was first diagnosed as CFS. I have had to be my own advocate and guinea pig! I found a physician who was knowledgeable and willing to treat me, but he was over 300 miles away. Just going to appointments would set me back for 2 weeks. Your forum is so valuable to the fibromyalgia community! 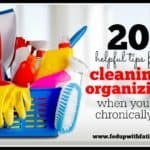 I wish that I would have had such a resource when I was first diagnosed. It would have gave me hope, encouragement, and valuable information that would have made my journey with this dreaded syndrome much more bearable. Thank you for all that you do. Is there a particular brand of Hemp oil that works better than another? There are quite a few to choose from. Thank you for your nice comments! I had the best results with American Shaman CBD, http://www.americanshamancbd.com. I used to the 750mg tincture. They offer my readers 40% off w/ the code FEDUP40. I get so discouraged and depressed when trying to explain why I can no longer do so many things. I am now walking with a cane. Just getting dressed is a trial. Husband and family don’t get it. Feel like a failure when meds and exercise don’t work. When I read others comments I don’t feel totally crazy Thanks for sharing comments and suggestions. I recently found your website a few months ago and it’s been very helpful. My chronic muscle pain had flared up again and your information gave me the courage to finally get a marijuana script. I’ve tried high CBD and very low THC products including oil, edibles, and now vaping with great success. It has brought me tons of pain relief and better sleep so I can keep functioning and working. Best part is no crazy high feeling just relaxation and pain relief. When I get home from work I vape for instant relief when needed and then take an edible with dinner so it kicks in around bedtime. Thank you again for all your do for the fibro and chronic pain community. I just can’t bare this much longer. Diagnosed with fibromyalgia and chronic fatigue as well as 2 lumbar fusions. My life is unbearable. I am 67 this is not how it should be. You can buy hemp CBD oil online. It is legal in all states. Sleeping pills such as Ambien, Lunesta and Restoril are on a list of 7 Most Dangerous Prescription Drugs. I cut out the article years ago. I would try Trazadone for sleeping. That is what I use. If one pill does not work, try 2 and then 3. For pain relief, I use Tramadol. It works well most of the time if I take 3 capsules. For energy, I am on d-ribose. It has helped me quite a bit. You can find that on Amazon and most likely in health stores. I pray that you get better and stay better soon. Donna…is there a specific brand or type of CBD oil you use yourself? I’ve been researching this and it looks like there are so many varieties and so many companies…I’m getting really confused! I read your article on this a while back and will refer to it again, yet I wondered if you had any other points to offer! Or any insight, as just a suggestion? Or do’s and don’t’s? Hi Jean, so there are two different types of CBD oil: CBD oil that’s made from cannabis, which you can only buy in legal states through a dispensary, and then there’s hemp CBD oil that’s available for purchase online and legal in all U.S. states. I’m assuming you’re inquiring about hemp CBD. For hemp, I had good results w/ American Shaman CBD. I used the 750mg tincture. They offer my readers 40% off with the code FEDUP40. Website is http://www.americanshamancbd.com. I hope this helps. You’re always welcome to email me w/ questions. Just reply back to any of my emails and I’ll get it. What’s your opinion on consuming hemp seed hearts. Does it perform like the CBD oil? I’m on several meds that is contrindicated with CBD oil according to information from my health food store. I haven’t heard anyone say that hemp seed hearts help them with fibro or Lyme symptoms. Hemp seed hearts are used more for nutritional support and aren’t the same as CBD oil. I would research your specific CBD/medication contraindications online. CBD generally doesn’t have many interactions w/ other drugs. Thanks so much…and yes I’m talking about just the Hemp based products. I’ll look into this! I think having a good base of people here, following your site…people like yourself who DO have a good track record of finding and trying new approaches to pain in general, and fibro specifically…and who are surviving the health care confusion of our times…well, it all means a lot! And offers hope to many others! No one makes it through life with pain alone, at least not very joyfully or hopefully! So have a resource like you offer is a definite plus! I find your articles informative, truthful, and insightful, Donna! A combination we don’t often see regarding any type of health care information these day, yet especially not those dealing with any type of pain!! I hope many more people will find you and find the hope they need to continue, also! Well done,.and thanks…a bunch! Thank you, Jean! I appreciate your kind words. Joan…I seem to remember some of histories greatest scientists actually did their own “personal, one man trials”!! In fact, it seems to me, as individuals, we ALL have a primary responsibility to ourselves…since we have ourselves as our ONE exclusive and very important patient to care for! Whereas doctors have hundreds to treat and supervise and follow up!! This often naturally translates into US being on our own…and learning to be our own BEST resource….and our own best researcher….to see what’s out there that MIGHT help us…AND try things which have proven helpful to others!! Especially when we are fast running out of effective options for ourselves…LIKE NOW…with the current prevailing atmosphere of DENIED CARE…or just plain poor patient care…for people with persistent pain issues! And now even acute pain issues, too! Sad but true! Especially when many of our doctor’s are opting out of even treating pain AT ALL any these days! Due to things like this…I think we all have ALREADY been part of our own personal “individual trials” before many times over…only with the doctor picking the medicine or the treatments! And often….not following the rules…or checking the outcome….all that closely either! Of course it’s imperative to let our doctors know what we’re trying or using…since it’s not good to expect care from them if they are figuratively blindfolded!! AND it can be dangerous, too! As I former nurse, I have prevented several patients from receiving care and/or medications that would have harmed them, some seriously….just because of what the doctors had ordered…either in error, or without sufficient history on the patient. So it’s important to remember our doctor’s are just human beings, and capable of making mistakes too…or not having ALL THE INFORMATION they need to avoid or prevent problems! In other words…those trained professionals you spoke of are FALLIBLE too…and often a patient knows MORE about themselves AND their illness/injury/condition than the doctor could ever hope to! Health care should be BOTH the patients and doctors working toward a common goal…one that often is helped by the patient’s own knowledge and what they have previously tried,…both successfully and unsuccessfully! Plus our common sense and seeking input from our doctor’s goes a long way to help us stay out of trouble, when trying new things, in my opinion! Yes completely to your blog today. I too feel that if I had not decided to do my own research, and find ways of treating each individual issue that I have had to deal with , with my Fibro and ME, then I cannot even begin to imagine, like you, where I would be today ..(either bed-bound, with you, or maybe even worse). Yes, I too, have discussed my self-treatments with my health teams, and researched ALL side effects of same, before commencing. Adding to your comments re trialling the “named/suggested/approved” treatments, these too did nothing for me (in fact Cymbalta made me a lot worse emotionally, and did nothing for my pain). It is only through forums such as your’s that I have found what has worked for others, and trialled these myself, to learn what gets me through each day. Thankyou. Oh boy do I know what you’re saying to be true. Lyme and co-infections add a whole new level of complexity. The most significant non prescription relief I found was magnetic resonance therapy, otherwise known as the “Magnesphere.” It relieves pain associated with chronic pain diseases, sports injuries, migraines, auto accidents…….just a multitude of pain related issues. It actually does have over 20 yrs of research backing its’ claims. After approximately 30 sessions, give or take, my pain was decreased by about 60-70%, allowing me to wean off Prednisone and OxyContin. Maintenance sessions are necessary, but at least it’s not a drug! The results were miraculous for me. If interested in this healing modality, search “Magneceutical Health” and there are also many, many testimonials on You Tube. I believe mine is there as well. I’m still not completely off meds. I was feeling so good, I forgot to do the maintenance (I know, foolish of me) and my pain increased. However, I’m receiving maintenance about once every week to two weeks. The treatments also boost my energy, I haven’t experienced fibro fog in over a year and it addresses my issue with anxiety as well. There are clinics popping up all over the U.S and Canada. The treatments are paid OOP, but they are trying to get to the point that Drs. can “prescribe” the treatments so insurance will pay. The technology is truly amazing and I’ve had amazing results! Regarding exercise, Donna, Since I don’t have ME I have not researched extensively. You state there are studies, in the plural. I am all too well aware of the PACE study and the cloud it has put over published study credibility! Are there other studies that did not lie,, abuse patients of tamper with their own work to get results and help the “health” system in U.K. throw many off disability as malingerers? As far as I know, in the ME/CFS world, the PACE study is the main one that suggests exercise as the best possible treatment, but according to various sources, there are major issues w/ that study. I personally think the jury is still out on the effectiveness of exercise as a ME/CFS treatment. That being said, I’m sure it’s helpful for those who are capable of it. Unfortunately, the researchers are missing the point that many with ME/CFS aren’t capable of getting out of bed, much less regular exercise. For fibro, there are numerous studies on the benefits of different types of exercise. The research seems more evolved in that area than for ME/CFS at this point. I agree with your piece above 100%! I put my full trust in the big pharma meds in the beginning and paid a huge price by damaging my liver. So now I have to be careful and diligent in my own care. Not just physically but emotionally as well. There’s a lot of nonsense out there but it ultimately, it’s up to,us to share what we’ve learned and keep learning, because our lives and the quality of our lives is the most important of all. Thank you for this topic! This is a great article and I completely agree! 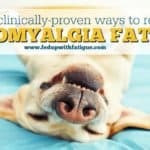 I have read a dozen books, read countless blogs and listened to many seminars on Fibromyalgia and CFS and my mother has done a lot of additional research too. I have been using LDN for about a year for my pain and it works pretty well! I tried Cymbalta and got no results and had a very bad reaction to Lyrica. One thing that is working well for me are anti-virals. There is a book suggesting Fibromyalgia could be caused by a virus. There are 6 possible viruses listed. I tested off the charts for one of them and was put on an anti-viral after preparing my system to maximize the medicine. A year ago I was basically bed ridden, sleeping most of the time and now I work full time and am improving everyday! I would have never believed it possible! The book is The New Fibromyalgia Remedy: Stop the Pain Now With an Anti-Viral Drug Regimen by Daniel C Dantini MD. There’s a lot of interest right now in using antivirals for fibro. I’m sure you know about Dr. Pridgen, the researcher down in Alabama who is going to be trialing a drug combo of Celebrex with an antiviral later this year? He’s having really good success w/ his patients. I suspect there is an infectious component to fibro and ME/CFS – virus, bacterial, probably some of both. It’s going to be interesting to see where the research leads. Like you, I’ve got a heavy viral and bacterial load. I’m currently treating Lyme and co-infections, but my tests show high EBV and I know HSV is an issue for me, too. Well said! Big Pharma only cares about what they can make a buck $$ on. They don’t care about fibro patients! I’m grateful to hear from others about what works FOR THEM because I might find something that works for me too! I tend to not trust the typical western medical community though. I’d like to about sleep problems with those with FM. 20 yrs ago when I was finally dxed with FM i was put on doxepin which I hated because of side effects but it did help my sleep which in turn helped my sleep tremendously. Well, after about about 18 yrs my dr switched to flexeril which worked until mid last yr. It has been horrible as the rh drs where I live will not treat FM so it’s up to my PCP. WE tried lots of things that didn’t work and I finally suggested flexeril which is working. For me sleep helps relieve pain but I can’t believe that 20 yrs later I’m still taking the same stuff. I don’t know if this is related to FM but i absolutely crash after the 1st meal of the day and takes hour until I feel better . Just asking as my dr. is clueless. We did check my blood sugar…it was normal. If anyone has has this problem please e-mail me. Hi Ellen, what do you typically eat for your first meal of the day? I find that I have that response if I eat something carb-heavy, like cereal, oatmeal, toast, etc. I feel better if I eat a more protein-based meal. I usually have groats or oatmeal with fruit. I tried eggs and hate same crash and the crash can last for 4-6 hrs. Sometimes I can read but other days like today it is just lingering. You may very well have episodes of low sugar and eating foods with more protein with healthy fats and high quality grains will make you feel better because eating this way stabilizes blood sugar. It’s exceptionally difficult to catch your sugar on the low/accurate number unless you’re wearing a monitor because the body will quickly try to correct the imbalance. I’ve been hypoglycemic since high school. I can’t skip meals, must eat protein with healthy fats (Those fats help the body use the protein), try really really hard not to eat junk sugar, rarely eat high glycemic fruits. Omgoodness!! I thought i was the only one to do that (tired after 1st meal)! Thank you! I never heard of anyone mentioning this before. Im glad im not “crazy”. My blood sugar was also normal. Savella stopped my Fibromyalgia and nerve damage pain, allowed me to sleep through the night and I had energy the way I did before Fibromyalgia. It was upsetting when I knew I’d have to discontinue it because it began to elevate my blood pressure and cause chronic hypoglycemia. Cymbalta worked even better and it also stopped a migraine that had gone on for weeks. And then the hypoglycemia began. Elavil helped me sleep and helped with some pain management but it was like taking melatonin – I had trouble waking the next morning if I took it after 6pm the night before. I’ve been on Tramadol and Gabapentin since 2003, Verapamil since 2006. I come back to these 3 because I tolerate them better than other meds although the side effects aren’t at all pleasant. Gabapentin, for me, works unbelievably better than even the highest dose of Lyrica. I went for acupuncture and Lidocaine injections for a good amount of time but neither provides lasting relief. I found the drug Diamox for my migraines and it worked REALLY well but I’m allergic to an ingredient in it and there is nothing at all like it, no other drugs with the active ingredient but lacking the portion that I’m allergic to. As patients, we learn more from one another than anywhere else. It’s how I found out about Diamox. But I also have a great GP who keeps up with research and is willing to let me try anything safe. My old neurologist was lead researcher on a lot of different migraine treatments and is brutally honest about failure rates of meds and certain devices and about which patients would do better on those treatments. I have complex chronic intractable migraines which means there are very few viable options for me. I have a new script that I’ll start today. The doctor told me what to watch for. I agree completely. I have been diagnosed for 10 years. I’ve been on disability for 5. I tried Cymbalta and Lyrica, along with almost every kind of Sleep aid and muscle relaxer for 5 years while I was trying to keep my 60-hr/week corporate job. I ended up with severe depression, chronic insomnia, anxiety and other painful side effects. I’ve weaned myself off of almost every prescription drug. I use chiropractic, warm water exercise, Kavinance Ultra (for Sleep) and other supplements. I still have pain but none of the harmful side effects. My mood is normal and my head is clear. I no longer trust that traditional medicine has much to offer. And my Rheumatologist has basically given up on me. Im a social-science doctoral student with FMS and I think you’re stepping into dangerous territory here. There’s a GIGANTIC difference between “no research at all” and “not approved by the FDA to treat Fibromyalgia.” FDA approval takes years and sometimes decades. Good doctors can prescribe things off-label with confidence because they are the ones conducting, interpreting and practicing the research. They’ve trained for decades to interpret these results. Journalists are notoriously terrible at interpreting and communicating research science and shouldn’t be considered reliable especially if it’s from a random website without any standing in the medical world. Personal one-man trials are not a great idea. Especially if you are encouraging this as an idea for others to try. Information out there on the internet ranges from utter nonsense to iron clad science and it takes a great deal of training to actually be able to determine the difference. Some of this stuff is placebo and others are just nonsense, but a lot of it will waste your time and money and get your hopes up for nothing. It’s especially dangerous when people take on these “solutions.” In lieu of actual medical advice from a trained professional. This is exactly what happened with autism vaccines and now we have a dangerous resurgence of mumps, measles and rubella. Many doctors do know about CBD by the way, and have recommended it to patients. A bad doctor doesn’t mean that you shouldn’t trust modern medicine. You’re basically saying patients are too dumb to figure out if a treatment might be helpful to them or not. I don’t agree with that. The medical community lets fibromyalgia sufferers down in every way imaginable. I’ve been misdiagnosed more times than I’ve been correctly diagnosed. I’m sorry but I will never give away my power to a physician who probably knows less about my condition than I do. You absolutely must be your own advocate. I’m lucky in that I do understand quite a bit of medical terminology and I pick doctors who speak to me and treat me as a partner in my care. They’re honest, admit their limits, make suggestions, are open to discussions about things I’ve found (like the use of Diamox for specific kind of migraine and medical marijuana). I never trust a new doctor until he or she has proven himself or herself to me. I’m in constant pain because I had an incompetent specialist for 5 years and an incompetent surgeon. 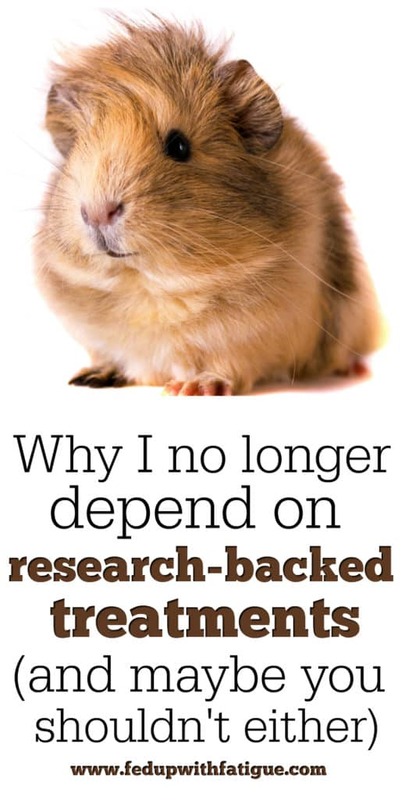 I’ve learned the hard way to research treatments, research doctors, etc. People need to know that there are supplements that can interact with one another and with prescription drugs, supplements that must be stopped before surgery, etc. That natural doesn’t always = safe. Out of sheer desperation, I started Savella as soon as it obtained FDA approval. I didn’t do it blindly – I watched as it moved through trials and I knew that it was used in other countries as an anti depressant rather than as a Fibromyalgia medication. But, had I waited until it had been on the market a little longer, I would’ve known about rates of increased blood pressure. I’m still grateful for the 6 months that it helped me. Well said Donna. @ Joan Miller. I’m wondering if you have any disease or syndrome and have traveled the difficult, mega suffered road that we have? Have you been a victim of wrongful treatments, great side effects and mis-diagnoses? Have you endured all treatments as we have, to only become sicker because of them? Have you ever decided that your only hope in possibly getting even a smidgen better is to research and navigate your own path of treatment, because you have been greatly harmed by the medical community? We know our bodies very well. And believe us when we say the things we say, we truly have become experts of our own health. The medical community has, unfortunately, become very narrow minded in treating patients appropriately. Most Doctors are far too busy to even sit and talk with us for more than a few mins. Please try to understand where we have been and where we are coming from. Thank you. You said that perfectly, Maureen. Thank you! I agree the clinical trials are expensive, rare, and often biased anyway. Sometimes they are definitely useful and needed for treatments (can this kill people?) But I highly doubt there will be trials for what works. Especially with diseases as heterogenous in presentation and treatments as ME/CFS, fibro, and lyme. Some people claim moving to a desert climate helps ME/CFS… never gonna see a trial on that, but if it is within your means and you think it’s worth a try I’m more than willing to listen to other people’s experiences. There’s also something to be said for how desperation can lead to outright silly ideas, sometimes dangerous things. Group experience sharing gives room to help gently steer people from what might be dangerous, demonstrate some degree of usefulness, or voice bad experiences. Overall I don’t mind hearing about just about anything so long as general common sense applies, I don’t need big pharma and capitalism interfering in every single treatment I try especially if the risk profile is low and it is non-prescription (NAC supplements for example). I’ve been reading the hypermobility handbook which has terrible info on CFS (minimally quoted PACE era nonsense) but great information on chronic pain for those with hypermobility and ehlers danlos syndrome and how they found a lot of types of chronic pain are linked in higher rates to hypermobility especially in women (which is novel as female hormones seem to influence hypermobility more). Anyway given how many damn sick young and old women I know, I’m willing to hear anything. Doesn’t mean I’m trying + buying it, but hearing it doesn’t hurt usually. We have to change our entire life’s out-look. Fibro will only getting better, once we except that fibro isn’t going no where..
We can get begin to feel better, but this will only happen once we change our mind set and start working towards helping ourselves, i’ve suffered with fibro for over 25 years. I cope a whole lot better now than ever before,” Oh Yeah” of course i still get the symptoms of fibro everyday, but its no where near like it used to be!.. The more help and research we can do,the better you will begin to feel better!.. In life if you want to suceed you have to do it ya self…. Best of luck guys on your fibro journey! I have been so glad I found your site. I have found more relief from my Fibro pain and fatigue here than anywhere else. I tell people about this page all the time. I think the best thing I found here was information about CBD. It’s been a life changer for me. Thank you and keep up the great work! Thanks so much, Laura! It makes my day when someone says I’ve helped them in some small way. I’m so glad the CBD is helping you! Donna do you sell CBC OIL? No, I don’t. If you’re looking for a good brand, I had good results with American Shaman CBD, http://www.americanshamancbd.com. I am a physician and agree with you entirely! The allopathic medications available for fibromyalgia are fair at best, research is prohibitively expensive (and the tradition of government-funded research has fallen out of favor, so we have industry-guided research which is tainted by their profit-motive). Nowadays, it really falls on patients to push us docs to try “off-label” or alternative treatments; unfortunately, allopathic training generally dismisses this as bunk, so we end up butting heads or alienating patients altogether. It is very frustrating all around. I am seeing a lot of folks respond to CBD for all manner of chronic pain, and I have had good luck with it personally. I think CBD will become increasingly mainstream over the coming years, especially as cannabis becomes legally available in ever more states. I have almost never seen Naltrexone used for this purpose, but it makes sense and seems like a safer option than a lot of more common FM treatments. Quell I have never heard of, but also sounds like an interesting (and safe) intervention. Thank you for your exceptionally balanced and articulate blog! Thank you so much for comment! I wish more physicians were like you – open minded to treatment possibilities that aren’t yet mainstream. And thank you for sharing your clinical experience with CBD. I’m sure a lot of people are going to find that info interesting. Does hemp CBD oil work or hemp seed hearts. I’m in Ga and cannibis oil it’s not legal? Never thought about it from that perspective, but makes total sense! Keyword of course, ‘common sense’ 😉 Sometimes following ‘scientifically proven’ blindly even when it makes you particularly unwell is stupid too. Amen to that! Scientifically proven doesn’t always mean safe, doesn’t it? I wholeheartedly agree with you. I value the insights of others who have tried alternative therapies. I always do my own research and because of yours and others suggestions I have found things that have brought much needed relief (The Fay Farm lotions are one example). When living with chronic pain, waiting on science is not an option. Thank you, I so agree…this post is so true and the best news info and research has Always come fron Donna Gregory Burch……we would all be so lost without her. Love you girl. Thank you so much! I love you guys, too! Yes, agree! I appreciate you putting into words and sharing your experience. I do much better not taking the approved medications. The validation and information from others with Fibromyalgia/autoimmune conditions helps me to keep on trying and adjusting. Thank you! Donna, can’t thank you enough for informative articles .i have been struggling with fibro for over25 yes. And yes am sick of doctors not knowing and not trying to seek positive treatments. Most I have mentioned and then they agree and we try. Agree totally about cymbalta and lyrics.not helping pain and yes I got the number one side effect , suicide thoughts and it took me a while to figure it out. Do you think my doctor did? No just increased the medication ! I found out about CBD oil on Pinterest and have used past 3 mo with positive results. Just working on dosage so I won’t have the ups and downs of pain. I just want to walk without pain. I’m so glad CBD is helping you! It is amazing stuff for some of us – and one of those “unproven” treatments that our doctors don’t know about! Gentle hugs to you!